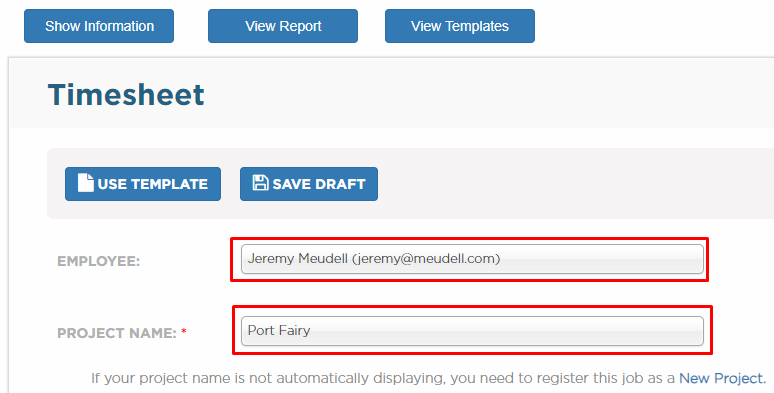 Timesheet form has a feature that saves your record as draft. This is to avoid loss of data by saving your inputs without totally submitting the form. From your navigation bar, go to Construction Phase > Accounts > Timesheet. Or you may use the search bar on the upper right corner of your portal by typing in 'Timesheet'. 2. The two required fields you need to fill out are Project Name and Employee Name. If you are inside the project, only Employee Name is required since you are already on the project page. Note: Failing to fill out the required field will display a prompt. 3. You can save your timesheet as draft as long as you've filled out the required fields. Click Save Draft. Click the Save Draft button to save changes. 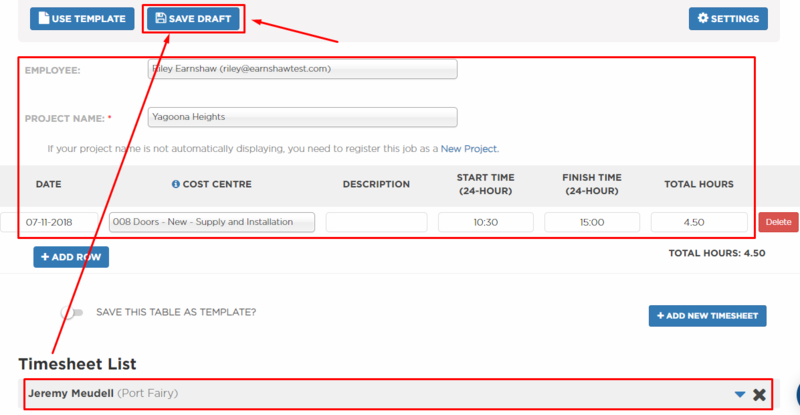 Your draft can be viewed either from timesheet outside your project or inside your project. All your drafts saved from different projects will be displayed here. 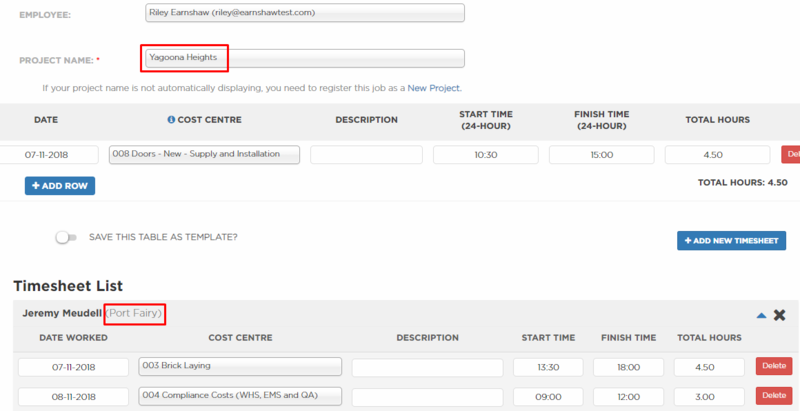 Whether you saved the draft inside or outside project, it will be reflected on the timesheet form of your project page. WHAT HAPPENS IF I ACCIDENTALLY CLOSED THE TAB OR CLICKED OTHER PAGES? If you haven't saved the draft yet and you leave the page, whether intentional or not, a warning message will pop out. Click Cancel to close the window and remain on the timesheet form. Once you have saved your draft, you can now leave the page without a prompt being displayed. Click on Leave if you don't want to save your changes. CAN I DELETE THE DRAFT? 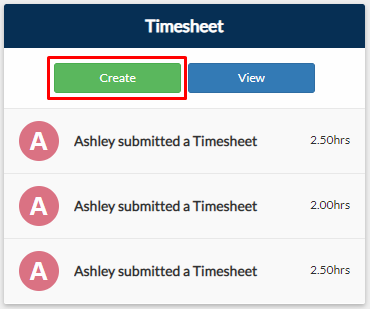 As of now, you can't delete the draft itself but once you have submitted your draft, it will no longer appear the next time you open the timesheet form.